It&apos;s Memorial Day weekend and we hope you get to celebrate with your friends and family (and hopefully have Monday off to recover). Since everyone celebrates Memorial Day in different ways, we wanted to focus on events that include something everyone enjoys...food. Celebrate Memorial Day in Loudoun this weekend at some of our fun culinary events! Don’t forget to capture your time in Loudoun and tag #LoveLoudoun! One Friday each month, Salamander Resort and Spa is featuring live music, delicious wine and culinary delights from visiting chefs. 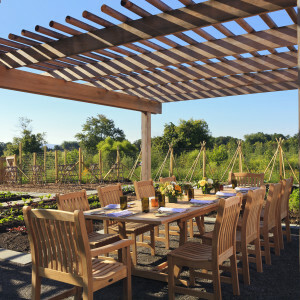 For May, enjoy jazz music while you dine and wine in their culinary garden. Visit Willowcroft Farm Vineyards this Saturday for a very unique culinary competition. There will be plenty of restored Model A&apos;s on the vineyard and the competitive chefs will be showing their cooking expertise on the manifold of the car! 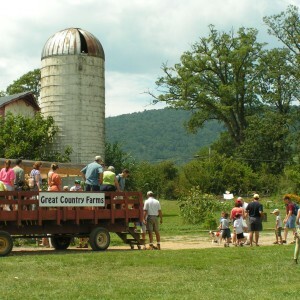 Join Great Country Farms for the largest u-pick strawberry festival in Northern Virginia! Enjoy live music, farm contest, and , of course, delicious strawberries! Participate in the Pie Eating Contest or Tart toss and don&apos;t miss out on the diaper Derby where babies will crawl to the finish line for great prizes! This festival is packed with family fun!